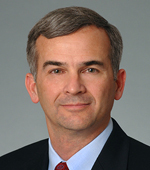 Jeffrey C. Brown is Vice President and Chief Information Security Officer for Raytheon Company (NYSE: RTN). Raytheon Company, with 2011 sales of $25 billion, is a technology and innovation leader, specializing in defense, homeland security and other government markets throughout the world. With headquarters in Waltham, Mass., Raytheon employs 71,000 people worldwide.Mr. Brown is responsible for all aspects of Information Assurance across Raytheon, including policy, compliance, architecture, engineering, services, and operations.Mr. Brown has over 30 years of experience in the Communications and Information Technology field. He has held numerous operational and staff positions within the Air Force and industry in software development, satellite ground station operations, contingency communications, program management and information security. Mr. Brown received a Bachelors Degree in Computer Science from the U.S. Air Force Academy and a Masters Degree in Computer Science from the University of California at Berkeley. He also holds a Masters Degree in National Security Strategy from National Defense University. Mr. Brown is on the Board of Directors of the Internet Security Alliance and is its First Vice Chairman.